This bundle includes every item in our store - five ebooks and two full video tutorial courses, valued at $246 if items are purchased separately. 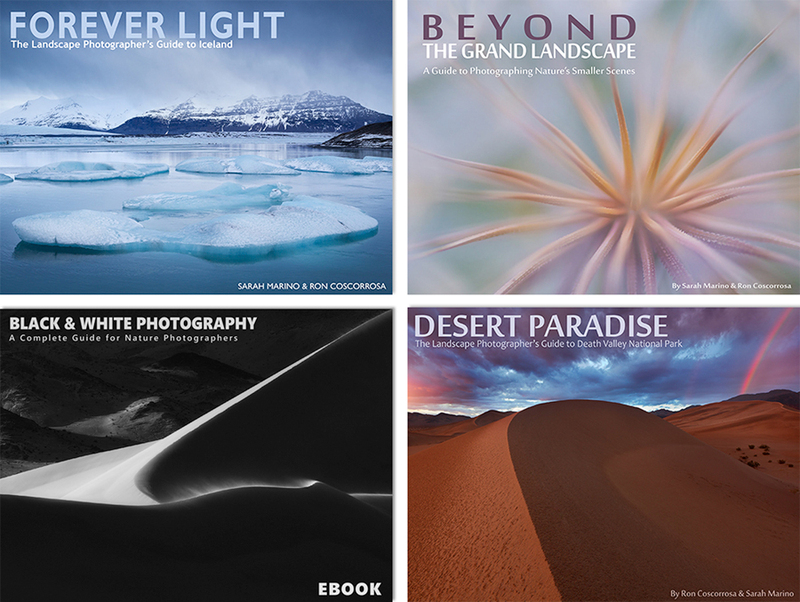 With the Everything Bundle, you will receive: Forever Light Iceland ebook, Desert Paradise Death Valley ebook, Black & White Photography complete ebook and photo processing video course, Beyond the Grand Landscape ebook, From Field to Finished video course, and Iceland: Black + White ebook. An in-depth video tutorial that follows the creation of seven photographs from the concept in the field through the final photo processing steps. Practical lessons on composition, creativity, and much more. An excellent time-saving resource for photographers and nature lovers planning a trip to Iceland. More than 30 locations are profiled in detail, along with advice on planning an unforgettable trip. The most in-depth guide to photographing Death Valley available. Includes our favorite locations and advice on when and how to photograph them along with travel information and sample photographs. Learn how to see, compose, and photograph nature's smaller scenes, including intimates, abstracts, and flower/plant portraits. A great creative and technical resource for photographers of all skill levels. This in-depth PDF ebook will help you create compelling, personally expressive black and white photos. The complete course includes the ebook, 9 instructional videos (5 hours). Save 25% on the bundle. An ebook portfolio featuring black and white landscape and nature photographs from Iceland. Buy every product we offer in a single click, with big savings. Includes: Iceland, Death Valley, Beyond the Grand Landscape, full Black & White Photography video + ebook course, Iceland Black+White, and Field to Finished. Desert Paradise: The Landscape Photographer's Guide to Death Valley National Park. Want to see a sample product first? 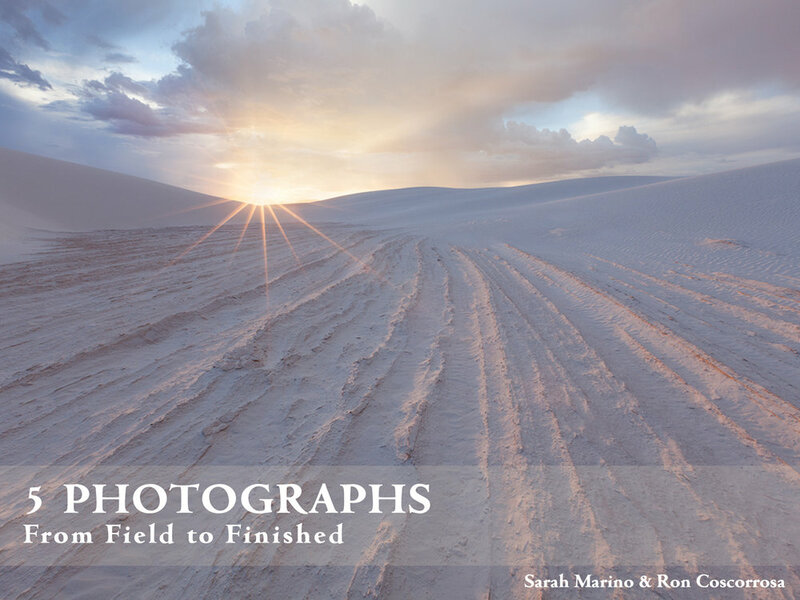 You can subscribe to our newsletter and get our 5 Photographs: From Field to Finished ebook for free. This ebook will help you get an idea of how we approach our photography and our educational products. Our newsletter features product releases, our photos, and helpful resources to help advance your photography.